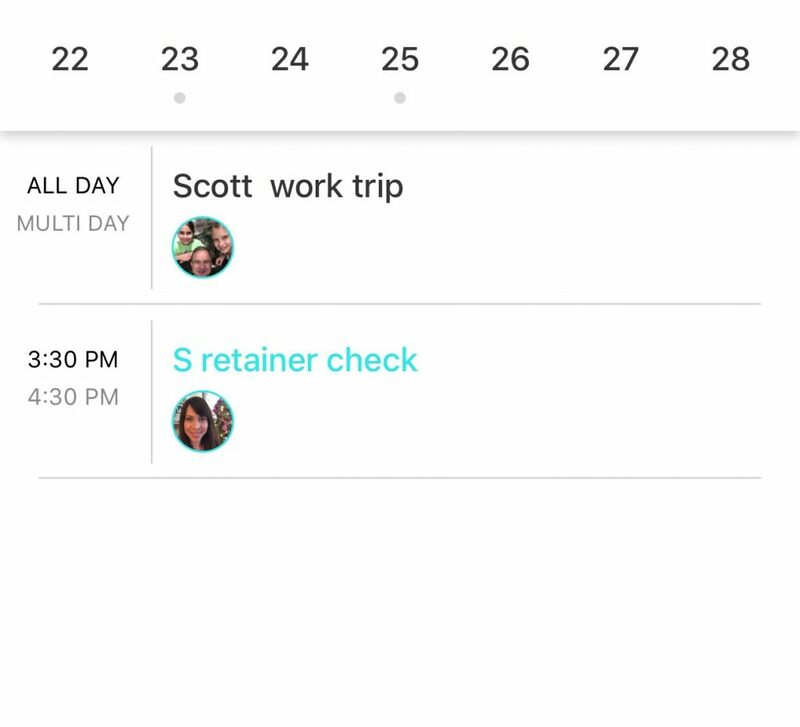 A simple app can do wonders for getting your family’s schedule in sync in 2017. This post has been sponsored by CURAGO. Since I run a website, you might be under the impression that I’m pretty technology savvy. The truth is, until recently I’ve been very “old school” in the way I handle my family’s day-to-day life. A pencil and a piece of paper was my best friend, whether I was making grocery lists, “to do” lists, or managing my daily schedule and my kids’ activities. The problem with using this method for all of my planning is that my husband and I were constantly out of sync when it came to our schedules. My husband does all of his planning on a paper calendar of his own, and so with each of us managing our own separate calendars, a lot of miscommunication and unnecessary communcation was taking place. We were constantly exchanging texts, emails, and phone calls to try and figure out where, when and how everybody was coming and going. The new CURAGO app (pronounced koo-rah-go) eliminates these problems. 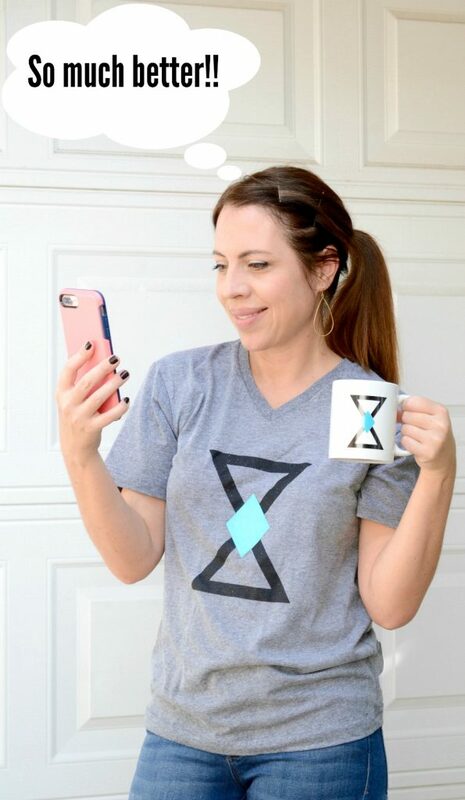 With the click of a button, I know exactly what’s going on in my day, my kids’ schedules, and my husband’s day, and vice versa. If I need him to pick up one of the kids from an activity, he can see exactly where to go and when to be there. If I’m wondering when to expect him home from work, I can find out with the click of a button. We can also both collaborate on “to-do” lists and grocery lists, and check things off when they’re done/purchased. I could go on and on about the ways that CURAGO has simplified our lives, but rather than rambling, I’ll just share a few “conversation make-overs” that have happened in my household as a result of this simple app. 3 annoying conversations made over by CURAGO! Husband: Can we go out to dinner next Thursday night? Me: I’m not sure. I’m out running errands so I don’t have my calendar in front of me. But I think I’m free. Me (1 hour later): So I just looked at my calendar…I forgot that S has a practice scheduled that night. Husband: OK. What about Friday? Me: There’s a birthday happy hour that night. Saturday? Husband: Nope, Saturday doesn’t work either. When I get home we can figure out a night we’re both free. CURAGO FIX: I saw that we’re both free next Monday. Wanna have dinner? Me: I haven’t had a chance to get the store to get the stuff I need for tomorrow. Can you stop on your way home? Husband: OK. What do you need? Me: Um…bread, turkey, a red onion, maybe some grapes…um…. Him: Can you just text it all to me? I won’t remember. Me: Sure…as soon as I find my list!! 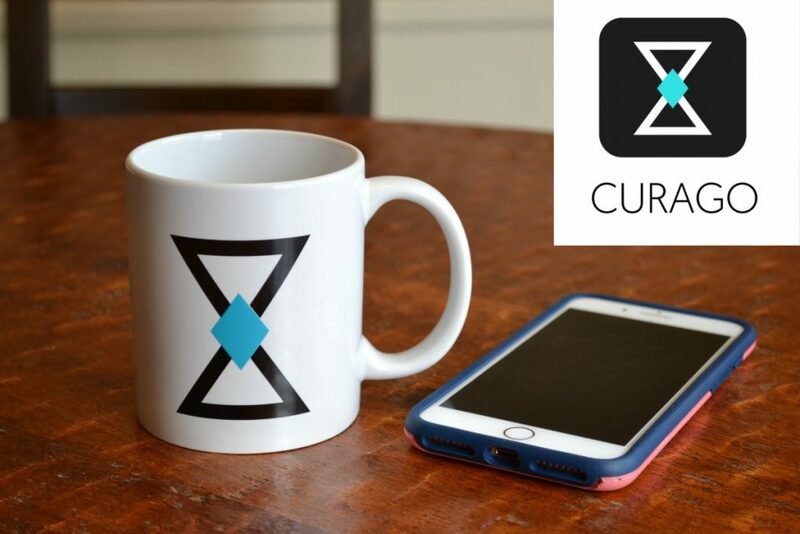 CURAGO FIX: Can you stop at the store for me? 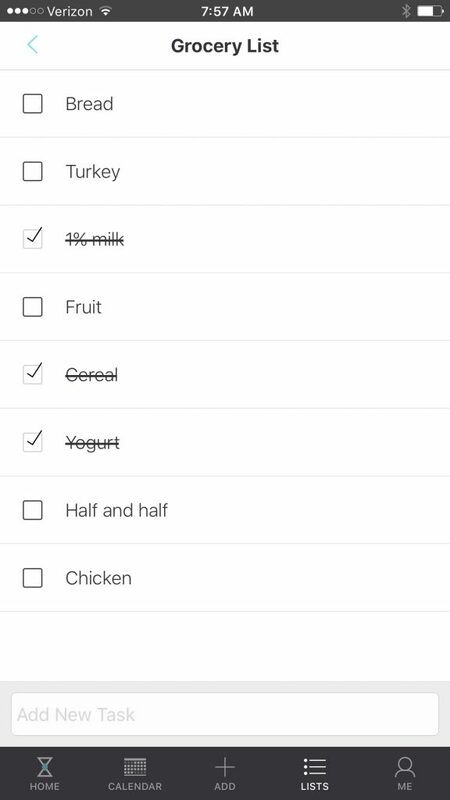 Everything I need is on the grocery list in the app. Me: When do you leave for your trip again? Me: When on Friday? Friday morning? Afternoon? Husband: I’m not sure. I think it’s late afternoon. Me: And when do you return on Sunday? Husband: Didn’t I email you my travel schedule a few weeks ago? Me: I think so. I’ll go look for it. 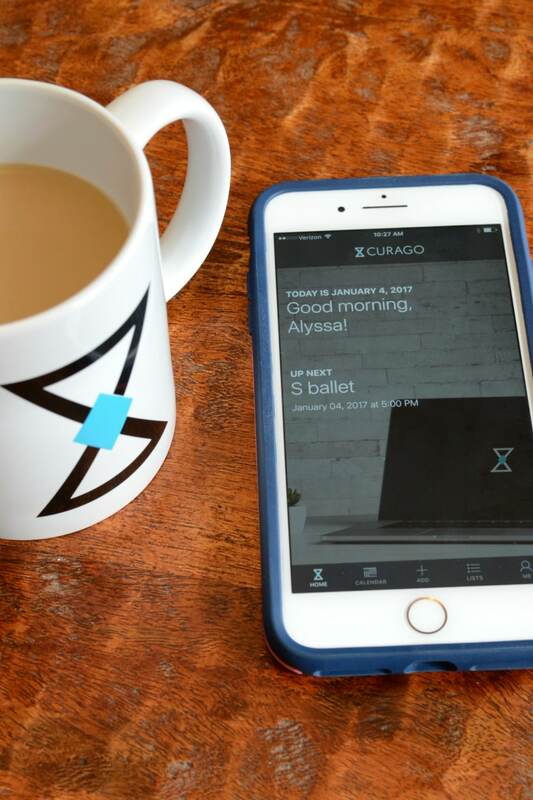 CURAGO FIX: Me: Hey, since you’re getting home from your trip pretty early on Sunday afternoon, do you want to plan a get-together with the neighbors that night? Right now, our girls are too young to use the app themselves, so I add their activities. But in a few short years when they start making their own plans, they’ll be able to join in on the CURAGO fun, too. And I’ll make sure they’re always entering addresses, so I know exactly where to find them at any given time. NOTE: You can adjust the privacy settings in CURAGO if you don’t want share your family’s entire schedule with everyone who uses it. They only see what you invite them to see. If you’re a paper and pencil junkie like me, I really hope you consider going digital instead. It took a while for me to train myself to enter everything into CURAGO instead of just instinctually writing it down, but now it’s become second nature, and it’s truly saved a lot of unnecessary back and forth and confusion. I’d love to hear your tips for keeping your family life organized! This is a sponsored post written by me on behalf of CURAGO. This sounds like a great app! Would save a lot of time so people don’t have to continue asking “what time are you _______” Thank you for the recommendation. You’re welcome, Rose! I agree, it’s made life so much easier. Just yesterday I asked my husband if he could pick my daughter up from a birthday party. Normally we’d have to go back and forth about what time, where it was, how far it was, etc., but now he just pulled up the app and saw exactly what time it was over, clicked on the location and it gave him driving directions and showed how long it would take to get there. Love it!! Look interesting. Will load and check it out!